Posted on February 11, 2016 by staceyanderton1	in News and tagged Band, PMEA. Jesses Stewart, Jared Shaffer, Jade Allen, and Logan Krasa participated in the PMEA District Band festival at Cameron County High School. auditioned for the chance to move on to Region Band, with Stewart, Krasa, and Shaffer advancing. Jesse Stewart considers the auditions to be the most nerve-wracking part of District Band. “It’s the point where you want to impress your director by doing really well,” Stewart said. Junior Jade Allen’s favorite part of districts was how close she got to be to the director. Since Jade was playing piccolo she was in the front row, very close to the conductor where she could have little conversations with him. “We made little inside jokes and would talk a little if we weren’t playing,” Allen said. One part of District Band that is interesting is that Logan Krasa roomed with three other kids from Seneca High School. “It was fun in the hotel rooms,” Krasa said. Region II Band will be held at Marion Center Area High School on March 10-13. 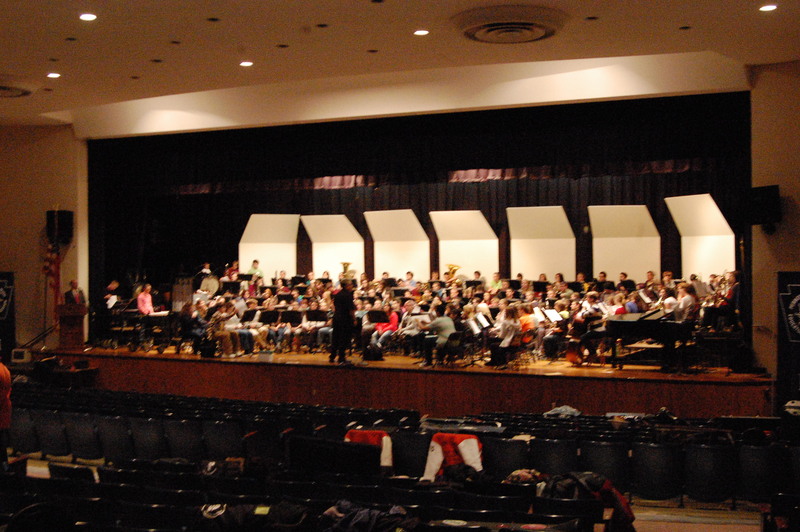 Posted on January 15, 2015 by staceyanderton1	in News and tagged PMEA, PMEA District 2, Saegertown High School. Saegertown High School played host to the Pennsylvania Music Educators Association (PMEA) District II Band Festival last week (Jan. 7-10). One hundred-seventy students came from forty high schools across the three-county region to compete for a position in Region II Band, which will be held at Fort LeBoeuf High School in February. The musicians were supposed to begin practice and participate in auditions on Wednesday night, but, due to weather delays, they didn’t start until Thursday, January 8. The community concert was held Friday at 8 p.m., with a second concert on Saturday at 1 p.m. The guest conductor Robert W. Smith said, “Preparation was easy, and I got a sense of where the students were at skill wise.” The only difficulty he seemed to face was getting the students to play as a whole. Smith is a nationally known composer who has over 700 works to his name. Saegertown band director Mr. Patrick Baldwin called him a “rock star” among composers of concert band music. Several students from Saegertown made it to the Region II Festival: seniors Kristina West, Matt Peters, and Makayla Miller; juniors Ben Courson and Jared Shaffer; and sophomore Jesse Stewart (who earned first chair in a field of eight tubas). “We learned how to transpose Mary had a Little Lamb,” said senior Kristina West. At Region Band, students will have the opportunity to compete for a position in All-State Band, which will be held in Hershey, Pa. To see more photos from the event, visit http://www.edline.net/pages/Saegertownjshs.